This is rather experimental. It's my first time to make a brush of this kind so I hope you like it. 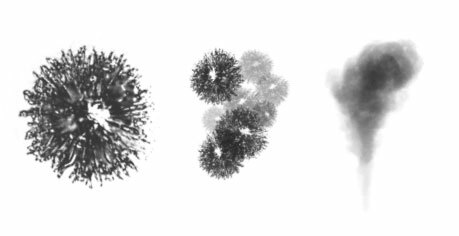 It is actually a flower but it also looks good when used for smoky/smoggy effects. The brush settings I applied here uses pen pressure so you might have to adjust the brush size and opacity manually if you are using a mouse. Anyway, this is the first brush I released in this blog (or anywhere else!). Hopefully, you'd find good use for it. I'd appreciate any feedback too. Enjoy! To get the smoky effect, set the opacity to as low as 10% and slowly paint in the layers of the smoke. 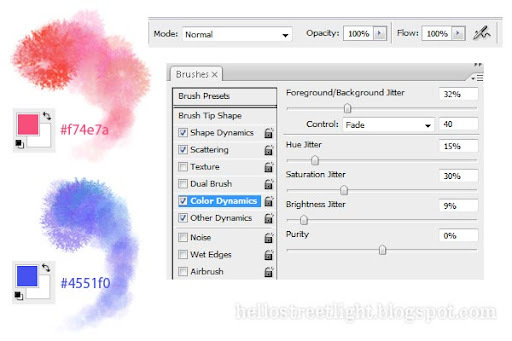 Try adding Color Dynamics to the brush settings. I managed to get a nice floral effect using a red color for the foreground and white for the background. Just experiment with the settings and have fun! Added Color Dynamics to customize the effect.